Got a question? Ask our friendly team! Welcome to Ballynoe Agri Services Ltd.
Ballynoe Agri Services is a family run business based in Ballynoe village near Fermoy in Co.Cork. The business was established in 2003 by Eddie and Linda O’Keeffe as a diversification from their dairy farming and contracting services. Ballynoe Agri now offers woodchip contracting services. haulage services, as well as supplying reinforcing steel for farm buildings. Our cutting and bending plant allows us to produce rebar, reinforcing steel and also welded steel, gates & railings produced exactly to our customers individual specifications. 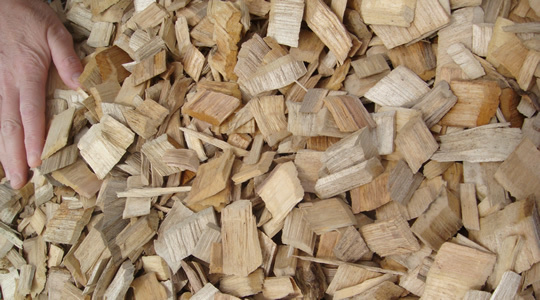 In 2008 we also opened a woodchip depot and began to offer woodchipper services. This enterprise is growing and proving to be the way forward into a cleaner environment and a greener future. We are C2 registered and fully insured. Our woodchip plant and mobile woodchipper machines can handle any size of project. Our in-house maintenance team ensures everything runs smoothly and downtime is minimised. We sell a wide range of reinforcing steel and mesh and can custom bend steel to your specifications. Cages can also be CO2 welded to grant spec or your specifications. We are fully licensed haulage contractors and offer haulage services for forestry timber, woodchip and biomass, steel and rebar, bulk feed, machinery and much more. Ballynoe Agri have always provided excellent service – even on short notice jobs where scheduling can be tricky, they were always able to deliver on time. A fantastic company to work with – reliable, responsive and always going the extra mile to get the project completed.